The roof is an integral part of the house, as it gives someone the first impression of home thus it is essential to keep it in good shape. A proper roof also protects your valuable as well as family and prevents leakages. Proper maintenance: checking the roof several times a year for any leakages will help prevent significant damage. Hire professionals, hiring a qualified and trained personnel to ensure your roof is thoroughly checked. A trained roof contractor will examine the condition of the roof, and advice you on the best way to proceed. Use high-quality material, one of the things that lead to the damage of a roof is the use of poor quality stuff. To avoid any damage to the roof be sure to check the quality of the materials used to fix your roof. The quality material might cost more but is worth investing in long-lasting stuff; you can ask your roof contractor to advise you on the best materials to use. 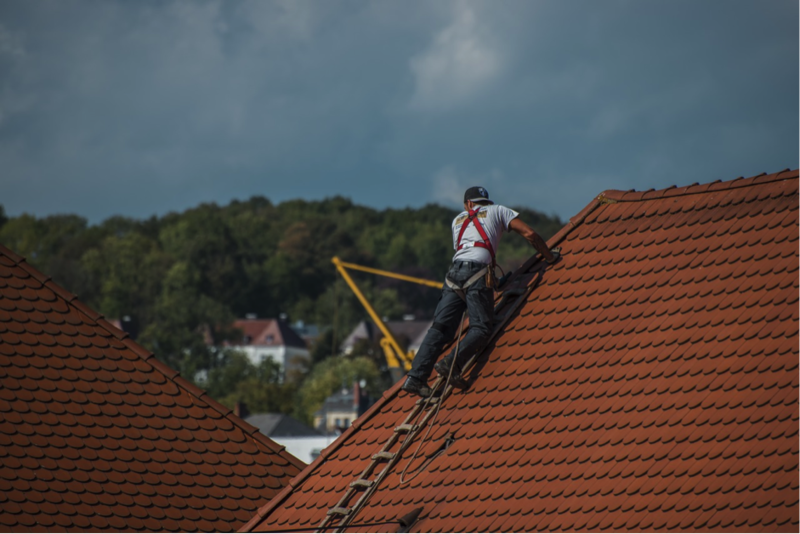 Ensure you use proper tools for the construction of the roof, using adequate construction tools play a crucial part in determining the outcome and longevity of the roof. To understand more on roof construction equipment, read on as we expound on five tools that will help in roof construction and maintenance. Extension ladder, an extension ladder is adjustable in size and is made up of two or more parts that make it possible to increase or decrease the length of the ladder. It is one of the essential equipment in roof repair. The ladder varies in size ranging from 32 feet; this is a light duty ladder and 70 feet for extra heavy duty. The best extension ladders should be one or three feet above the roof, to make it easy for the climber to access the roof. It is essential to measure the height of the roof and ensure the extension ladder meets the requirements for safety. Roofing hammer, there are several types of hammers, so it is essential to have the one designed for the construction and repair of the roof, unlike other hammers, the roofing hammers have adjustable gauges. Some of them also have magnetic heads used for holding the nails, and this helps in ensuring maximum safety for the worker. Before buying a hammer, be sure to confirm the properties and check whether they meet your requirements, the magnetic hammer is suitable for slanted roofs as it will help you use one hand for hammering and another to hold for stability. The adjustable roofing hammer in hand is suitable for thick roofs that need different gauges during construction. Roofing shovel, while repairing you are bound to remove the old roofing materials, a roofing shovel will help you to do this. It is also known as the shingle ripper, the roofing shovel tears off the old roofing material and holds the nails in place making it even safer. Caulking gun, this equipment is used for roof repairs that need cement. Some roofs require roofing cement to stay intact in case of extreme weather conditions like wind, to help in this the caulking gun is recommended as it allows better control compared to a tube of squeezed caulk making it easy to avoid messes. Chalk line, in roof repair and construction, one is likely to cut some materials for proper fitting, to cut in a straight line, a chalk line is used. It has a heavy string inside a container that has powdered chalk. The powdered chalk is sprinkled along the point you want to cut, and this gives the contractor a clear view of the line to follow. Saws, saws are necessary for cutting through wood. You may need a circular saw or a reciprocating saw which works well in tight spaces. During repair you will also need cleaning material, these include a rake, broom or scoop shovel. After the repair is done you want to leave the roof presentable, so be sure to clean up and remove the dirt. During construction one may also need a power nailer and a hammer tacker. A hammer tacker is used for installing a paper roof on a new roof, a power nailer, on the other hand, is used to drive in nails with more ease, especially on compact areas of the roof. Important tips for the homeowner. The mentioned tools are the necessary materials during roof repair or construction, repairing a roof is delicate and requires precision on cutting and drilling to ensure the roof stays intact. If you a homeowner some of the critical things to look out before employing a roofing contractor include cost, ensure the company's price aligns with your budget to avoid disputes. Ask around for local roof contractors, this help to avoid extra costs for transportation of material. Research about the company to find out their quality of work and what others say about their services. You can find such information from the website reviews or friends and family who have used their services. Important tips for the roofing contractor. If you a roofing contractor ensure you use the best tools, the above list gives the top five equipment's useful for repairs, however, be sure to have proper knowledge on necessary tools for renovation and construction; this will help in installation of a durable roof. Perfect your skills each day, to ensure you provide the best make it a habit to perfect your skills each day by learning something new from each project. It will help in not only promoting your work but also providing stable, safe roofs for your clients. A roof plays an important part in completing the look of the house, it the responsibility of both the homeowner and the roofing contractor to ensure the roof is in excellent condition as this will help avoid potential danger on the entire household.